China’s attention-grabbing growth in high-speed rail experienced a series of setbacks this past week, with both safety and ridership concerns. 25 buses were delivered to Maputo on Wednesday, bringing the number of new buses in the Mozambique city to 75. The buses, imported within the past two months from India, can each hold 75 passengers. Cape Town announced its Integrated Transport System will likely be finished by next week, according to the city’s media manager, Kylie Hatton. Oil companies came under fire as first-quarter profits soared amidst high gas prices. BP reported a 17 percent profit increase and ConocoPhillips reported a 43 percent profit increase. AMTRAK is reportedly a leading contender for $1.3 billion of the remaining $2 billion of President Barack Obama’s High Speed Rail funds. A new report by researchers at the University of Quebec in Montreal indicates that higher gas prices lead to less urban sprawl. The report found that, on average, a 1 percent increase in gas prices has caused a 32 percent increase in population living in the inner city. 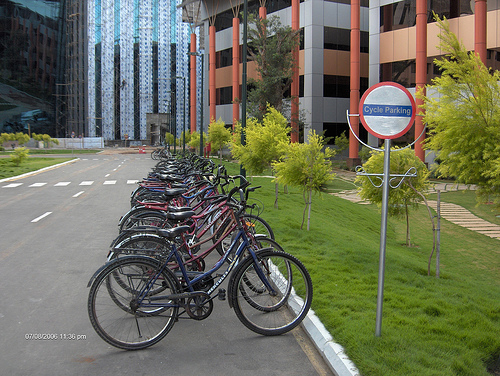 The first bike sharing operation at an Indian university is set to launch at Bangalore University. An analysis of the Australian government’s spending aroused discontent among citizens, as it revealed the government spends 4.3 times more on construction of public roads and bridges than it does on public railway construction. The U.S. Senate passed a new fee this week that charges electric vehicle owners $100 annually for each EV owned. The controversial fee has been rationalized by senators as helping to ensure that EV owners “pay their fair share” for the roads. T-MAPPER, a newly launched report and website, commissioned by the European Commission, aims to provide a comprehensive understanding of actions being taken to mitigate greenhouse gas emissions from the transport sector. Adding to their efforts in becoming the world’s greenest city, Vancouver announced this week that it will be Canada’s first recipient of the “car2go” car sharing service. Pakistan’s National Climate Change Policy, which emphasizes the importance of vertical over horizontal urban development, has been sent to the federal cabinet after receiving a formal approval from the ministry of environment. The American Institute of Architects announced the winners of its 15th annual COTE Top Ten Green Projects. The city of Washington, D.C. finds greenscape growth with the creation of the 10-acre CityCenterDC, the largest downtown redevelopment project in an American city. The National Summit on City Design, a three-day event to celebrate accomplishments in city design, is currently underway in Chicago. New analysis by the National Complete Streets Coalition indicates that “complete street” policy approaches at the state and local government level are on the rise in the U.S. The hubbub surrounding Apple’s use of individual location tracking data, information used in smart phone’s navigational applications, was addressed in a press release from the company on Wednesday. Creating their case for well-roundedness, the popular electric vehicles of the Chevrolet Volt and Nisson Leaf earned the highest possible safety ratings from the Insurance Institute for Highway Safety. Half a billion people around the world will use mobile devices as passenger tickets on metros, subways and buses by 2015, predicts a new report from Juniper Research. Tags: active transport, Amtrak, Asia, Bangalore, Barack Obama, bike-sharing, BP, Cape Town, Chicago, China, clean fuels, electric vehicles, emissions, environment, high-speed rail, India, innovation, Maputo, Mozambique, Nisson LEAF, Pakistan, public space, Quality of Life, sprawl, technology, United States, vehicle sharing, Volt, Washington, D.C.